It's coming up to the end of the financial year, so we're in the city to take advantage of all those sales and for lucky me, it means a brand new iMac. Deciding on which model to get will be made over lunch at Bistro Vue. Paalo was interested to see Bistro Vue's take on a prawn cocktail. 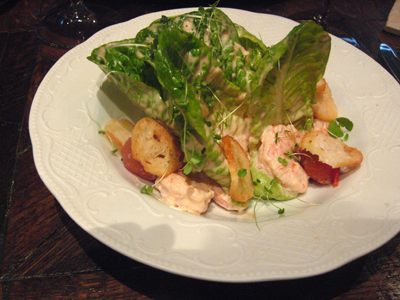 It's served on a plate, 3 or 4 good sized prawns, crisp whole leaves of baby cos lettuce, avocado and a scattering of ficelle croutons. 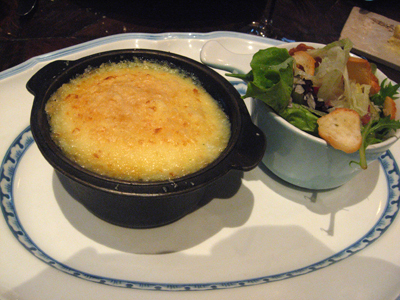 Braise of the Week - underneat that cheesy mash is a hearty braise. 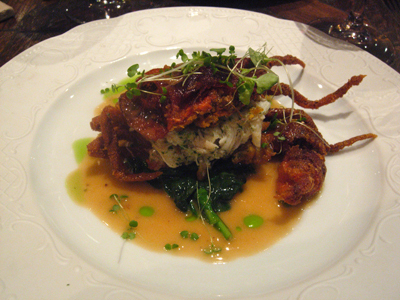 The crackling couldn't be better - presented as a neat rectangle, it is crisp and crunchy. 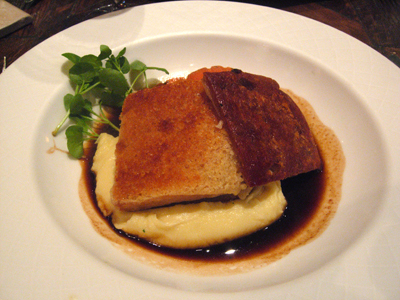 The pork belly is coated with an almost sponge like cheese crust, the pork itself parts at just a touch of the knife. 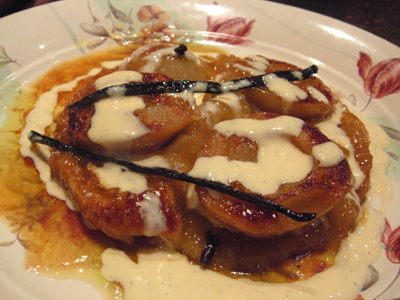 However many times we visit here, we never seem to get past ordering this and no wonder, it is fantastic.